Student loans are a big topic in the news lately, as tens of millions of Americans are struggling with over a trillion dollars in student loan debt. Those outstanding balances have the potential to weight down your personal finances, so it's important to choose the right student loan lender for your situation. Different loans and lenders offer unique terms, interest rates, limits, time frames, and other benefits that can make or break your loan payoff success. Follow along with this guide to understand how to spot the best student loans for your needs and what to look out for along the way. There are dozens of potential lenders to choose from. Depending on where you are in the process, you may be in the market for government-backed loans or private loans. Today we are going to focus on private loans, as Federal loans sometimes have unique rules or approved lender lists. The best student loan companies give you flexibility, responsive customer service, and help you keep costs under control. That can include unemployment protection, options to add co-signers, and an option for deferment or interest-only payments during financial hardship. Student loans can be very expensive. Between paying down the principal, interest charges, and any fees, monthly payments add up quickly. Focus on these criteria to keep your costs as low as possible. Interest rate - The interest rate is the biggest charge you’ll run into when borrowing. Loans with variable interest rates tend to charge less initially compared to fixed-rate loans, but may cost more over time. In the current rising interest rate environment, you may be better off avoiding variable rate loans. Origination fee - Some student loan issuers charge a one-time fee at the start of a new loan called an origination fee. Early payment fee - You shouldn't be penalized for paying off your loan early, yet some lenders do charge early payment fees. Do not sign up for a loan that restricts your ability to pay it off early. Loan term - Longer loan terms lead to lower monthly payments. But shorter loan terms charge lower interest rates. The cheapest option for you is the shortest loan term you can afford. Signing on for a higher monthly payment will help you pay off the loan faster and save you money on interest. You have to pay the principal (the amount you borrowed) no matter what. But by paying it off quickly, you can avoid paying more in interest charges. And remember: You can pay extra each month with your regular payment to stay ahead of the initial payment schedule. Every little bit helps! Short for Social Finance, SoFi offers more than just student loans to its borrowers. Once you become a SoFi member, you get access to a range of events and services designed to help you boost your career and get the most out of your personal finances. Fixed rate loans currently cost 3.899 to 8.229 percent depending on your credit score and loan terms. Loans are available for five- to 20-year terms. You can borrow amounts starting at $5,000 with no limit to how much you can borrow. 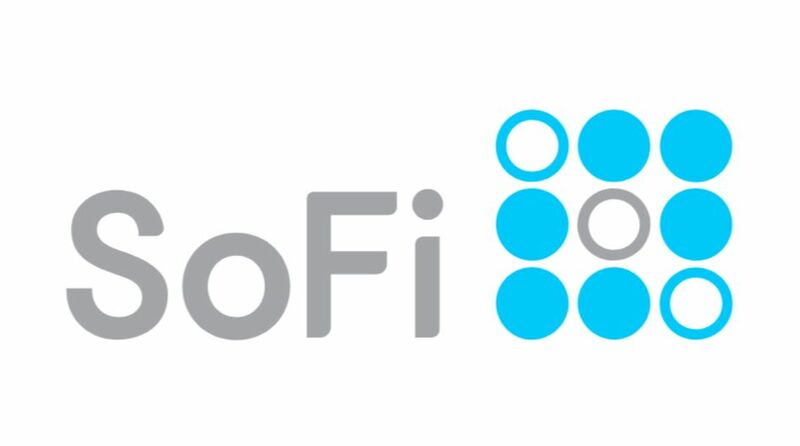 SoFi offers up to one year of unemployment protection, charges no origination fees or prepayment penalties, and offers loans to borrowers in all 50 states. SoFi typically only lends to those with good to excellent credit, but they consider factors like your school and degree when weighing credit decisions. LendKey offers some unique options to temporarily lower your monthly payment should you run into financial struggles. Keep in mind, however, that switching to interest-only payments extends the life and cost of your loan. LendKey offers unemployment protection for up to 18 months and interest-only payments for up to four years. LendKey offers loans from five- to 20-year terms starting at $5,000. Undergraduates can borrow up to $125,000, grad students can borrow up to $250,000, and medical students can borrow up to $300,000. There are no origination fees or prepayment penalties. You must prove income of $24,000 or more per year and have a 680 credit score or better to qualify. LendKey operates in all states except for ME, ND, NV, RI, and WV, and unlike most on this list, LendKey does not offer loans to those still in school. Laurel Road stands out from the pack for its great options for medical residents. After you receive your MD, you can pay just $100 per month during your residency or fellowship. Once you move on and become an attending physician, your standard repayment term begins. Laurel Road offers loans starting at $5,000 with no maximum to borrowers in all 50 states. Loans come in five- to 20-year terms. Laurel Road offers up to one year of unemployment protection. Laurel Road requires a 660 or better credit score, but no minimum income. Earnest charges competitive low rates and is a great choice to refinance your student loans. This lender stands out for its high-tech style and estimates just two minutes to get your rate. Earnest also offers a useful mobile app to manage your student loans in addition to the traditional web experience. Loans are available starting at $5,000 with no maximum. Unemployment protection is available for up to one year and there are no origination or early payment fees. Earnest serves customers in all states but AL, DE, KY, NV, and RI. You’ll need a 660 credit score or better to qualify. Sallie Mae offers a student loan for just about every situation, including all types of degrees, career training, studying for the bar exam, and loans for parents looking to pay for their child’s education from kindergarten through grad school. Depending on your credit, the interest rates from Sallie Mae can fluctuate quite a lot. That’s why it’s always important to shop around. But Sallie Mae does offer many options and lots of flexibility, including deferred, fixed, and interest only repayment options while in school. There are no origination fees or early payment penalties. Loans start at $1,000 and go up to the school-certified cost of attendance. Unlike a lot of these newer lenders, Citizens Bank is older than many colleges in the United States. It offers a wide range of banking and financial products, having entered the student loan business in 2014. Citizens Bank lends to borrowers in all 50 states. Loans start at $10,000 and go up to $90,000 for undergraduates and $350,000 for graduate school. Loans are available for five- to 20-year terms and unemployment protection is available for up to one year. You’ll need a 680 or higher credit score to qualify and have your education complete before you are eligible. Borrowers must have a $24,000 or greater annual income to qualify. Interested in learning more? Check out our full review of Citizens Bank. CommonBond is among the lowest interest rate student lenders today, which makes them another great choice for your student loans. While all lenders say they care deeply about their borrowers and community, CommonBond puts its money where its mouth is. For each new fully-funded degree, they will fund a year of education for a student in need through their Pencils of Promise program. CommonBond can help you save with low rates and no origination or prepayment fees. Loans are available for five- to 20-year terms and $5,000 to $500,000 in value. Loans are available to residents of all but six states (ID, LA, MS, NV, SD and VT). CommonBond offers up to 24 months of unemployment protection to student loan borrowers and requires a credit score of 660 or above to borrow. Discover is best known for its credit cards, but it also offers a wide range of financial services that include student loans. One fun feature at Discover is a reward for good grades: Earn a 3.0 GPA or better and you get a 1% cash reward on each new student loan. There are no application, origination, early payment, or late fees at Discover. You can borrow up to 100% of the school-certified cost of attendance. Loans come in many varieties including for law, MBA, and medical specialties, but undergrads and regular graduate students will feel right at home with great borrowing options. And because you’re paying for it, you know you will do well in school and earn that 1% good grades discount, which is potentially a tremendous value. You can also read through our full review of Discover Bank.